← Manchester or Birmingham: Where’s the Party? Robin Dunford makes his debut for Good Feet For A Big Man with the first in our summer series of feature length pieces. 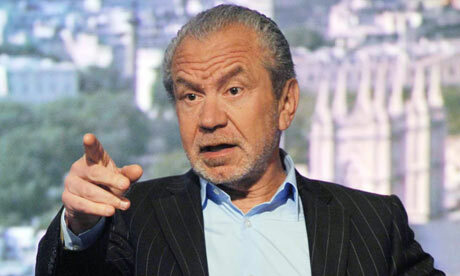 In a recent BBC documentary, Alan Sugar explored football finances. Football clubs, despite receiving increasingly extravagant sums of money, were often losing money at alarming rates. Those blamed for the loss of money in football included players and their high wages, agents and their demand for more money for themselves and players, the sheer importance of the competition ensuring clubs spend more than they had to stay up, go up, or qualify for lucrative competitions like the Champions League, leveraged buy-outs, and fans both for having high expectations of their clubs, and for being willing to pay increasing amounts of money to watch their team and its superstars play. Sugar proposed a number of potential solutions. Amongst the most sensible included the imposition of a wage cap, restricting expenditure beyond revenues gained for long-term investment projects, like work on new stadia or other facilities, and splitting money from Sky, given to clubs through the Premier League, between those clubs and a fund, which would invest in the grass roots of the game, and invest in ensuring that there were adequate facilities throughout the footballing ladder. But, Sugar’s final suggestion struck a sore spot. Sugar suggested that those clubs who fail as a business should be allowed, or even forced, to fail. If a club goes into administration, it should be kicked out of football, and forced to start again. People in football, Sugar claimed, needed a reality check, and what better deterrent against over-spending than seeing a few major forces in football collapse and die because of their financial mismanagement. I didn’t only find this solution abhorrent because were this kind of legislation in place, it would have seen the team I support, Portsmouth, forced to fold. I also found it abhorrent because the case of Portsmouth illustrates that such a principle is both unjust and ineffective. It would not only serve to double the punishment on the people and community that has had to watch their club suffer through financial mismanagement, but it would also fail to act as a deterrent to the very people who often drive the most exuberant of over-spending in football. It is very difficult to know where to start when discussing Portsmouth’s finances over the last few years. The oft-heard story is that the club represented the epitome of over-spending, with an expensive squad assembled on home attendances of 20,000. This account does not even begin to tell the story. Yes, the Portsmouth squad did include numerous expensive players. And yes, for a couple of years the wage bill was at around 85% of turnover, and players were given fairly high bonuses. Over this period of over-spending, however, a huge amount of revenue was received in transfer fees. The FA cup winning team cost a total of £27million. The sales of Lassana Diarra and Glen Johnson alone recouped £30million, with the sales of Distin, Muntari, Mendes, Kranjcar and compensation for Redknapp’s departure adding a further £26million. Reports suggested that the club were losing £15million a year during Gaydemak’s three year reign as owner. The sales of Crouch, Distin, Kranjcar, Kaboul, and Begovic should have wiped most of those out. Yet somehow, the club found itself in over a £120million of debt. Amidst the murk and confusion a general fact shines through: it is possible for people to make money even when a football club as a business is failing. Forms of Casino Capitalism (the taking of large risks, often at the expense of others and not yourself, in the hope of great rewards) and Disaster Capitalism (the use of disasters to make profit, or extending disasters in the hope to make money) enable people to make a killing out of nearly killing a football club. Over a period of time, Portsmouth saw the successes and failings of disaster capitalism, before nearly having our heart ripped out through the excesses of disaster capitalism. 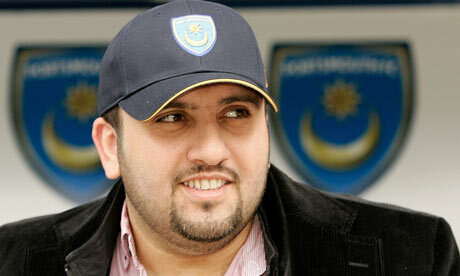 Portsmouth had undoubtedly overspent under Gaydemak. He had relied on the ease of gaining loans, and when loans became more difficult to gain under the recession, and banks started calling in money, a new backer was needed. That new backer was the charlatan Suleiman Al-Fahim. Al-Fahim bought the club for a nominal amount, and immediately proceeded to spend around £10million on the likes of Mike Williamson, Kevin Prince-Boateng, Tommy Smith, as well as signing Tal Ben Haim on a long contract worth around £2million a year. This spending was all based on the hope of securing further finance and further backers. This finance did not materialise. Casino Capitalism went wrong, at the club’s cost and not Al-Fahim’s. Resolveable financial problems had become a crisis, with administration looking inevitable. Before the club went into administration, the vultures came circling. It is here that the story becomes extremely bizarre. Ali Al-Faraj, a man never seen, nor heard of, took over the club through his holding company, Falcondrone, and the money supplied to (allegedly) keep the club running was provided by a £16million loan from Balram Chanrai. Chanrai, strangely, had just received a similar amount of money from Arkady Gaydemak, the gun-running father of Sascha Gaydemak who once listed Portsmouth Football club amongst his assets in an Israeli court, having sued him. Chanrai expressly stated that his involvement was motivated by profit, initially through high interest on the loan. During the period between this takeover in October and Portsmouth entering administration in February, convicted fraudster Daniel Azgouzy and Al-Faraj’s associate Mark Jacob were in control of the finances, with the chief executive, Peter Storrie, sidelined. Very, very few bills were paid. It took the lights literally going out for electricity bills to be paid, and players were repeatedly paid late. Tax bills were continuously unpaid until HMRC lost patience and forced administration through a winding up order. Yet despite the lack of bills being paid, the situation had somehow worsened. Our debt, reported at around £60million over the summer, had doubled to £120million in the space of five months. Administration before all this further debt accrued would seem to have been better for the creditors, who may have received more of their money back, and the club, who would be less burdened when coming out of administration, yet the relentless pursuit of profit through gambling and disaster left the club, creditors, and community worse off. Soon enough, it was a repayment of the Chanrai loan that was defaulted, meaning that ownership shifted from the mysterious Al-Mirage to Chanrai. At this point, with administration around the corner, Chanrai, who had entered a sinking ship to make a quick profit, transferred the ownership of Fratton Park, Portsmouth’s stadium, from the club to himself. In so doing, he became a secured creditor, meaning that he would have to be paid off in full despite administration. His plan was to either make the £16million loan that allegedly went into the club, but did not see our debt decrease, back either by leasing the ground to a new owner, or, as has since occurred, by becoming owner, and gradually taking the money out or waiting for a buyer to pay it off. And if the very worst happened, and the club folded, he would have a piece of land that could be sold for large amounts, or a football ground that he could lease to any club that emerged to fill the void left in the city by the folding of its one team. Chanrai has managed to make sure that he will not be hurt, and instead stands to profit, through the disaster that was Portsmouth football club in 2009-2010. He made sure that it was the unsecured creditors like HMRC and numerous small businesses that had done work for the club who suffered through the ludicrous financial gambling and attempts at money making, whilst ensuring that he will eventually get out with a profit. It was not the fans who ran Portsmouth into debt. It is neither they nor the community that need to be punished, and that should have seen the club fail. It was a combination of failed casino capitalism and ruthless disaster capitalism, fuelled by charlatans, fraudsters, and owners who professed no concern for the club, that saw a club go from a position of debt that could have been dealt with through cost-cutting and player sales, to administration and near-collapse. The fact is that particular people can make money out of football clubs even when they fail as businesses and the kind of businessmen that were involved in Portsmouth, Notts County, and others are unlikely to be put off by the fact that their actions may lead to the death of a football club. Forcing clubs out of business if they are failing would be both unjust, for it punishes the wrong people, and ineffective, for it would not be the deterrent that Sugar suggested it may be. Fixing football’s financial problems requires moves that stop people being able to take gambles that do not put themselves at risk, and to stop them making money from clubs that are already failing financially. Moves like capping spending in relation to revenue and preventing leveraged buy outs would help to do this. But one alternative, not mentioned by Lord Sugar, would be to place the clubs back into the control of the fans. In Germany, 51% of all clubs must be owned by the fans. Investors can come in and inject finance, but all key decisions will have to have the agreement of the fans, those with the long term interests of the football club at heart. It is the fans and the community that suffer, not the owners, when clubs fail. So why not make those very same fans key in running the club, ensuring that a clubs future is not put at stake for a quick profit? I understand the difficult position you, as a Portsmouth fan, felt yourself in during the club’s period in administration when it looked likely it might fold. However, I don’t think that because people are emotionally attached to a football club, it should make a difference on the decision of whether or not a club should be forced to go under if their finances are a complete mess. Football is business, first and foremost (albeit shady business in the case you describe). To put it bluntly, fans care much more about their club than their club cares about them – particularly if it is owned by someone who is only out to make money. Your raise an interesting point about club ownership in Germany. If the idea of fans owning 51% of their club was adopted in Britain (which is unlikely, as it makes a lot of sense…) then at least people who genuinely care about the club have an involvement in it’s day-to-day running, rather than having to sit back helplessly when clueless profit-seekers march in and take charge. Hello, I’m also a Pompey Fan, great write up! How about if we just make owners pay for players contracts/wages up front? If Charlie Big-Spuds wants to bring Messi to Fratton and pay him £40m a year for 3 years, GREAT… but, Charlie has to pay the entire £120m to the FA upfront.. Interesting summary of PFC’s problems. Fans would be better served by having some control of their clubs such as shares or representation at board level. Until then owners can do what they will. Anyone interested in more detail of what happened at Pompey should look here: http://www.twohundredpercent.net/?p=12761 for Gaydamak and the consequent effects on PFC and here http://www.twohundredpercent.net/?p=12764 for the Fahim era. Installments pending on the Al Faraj / Chainrai ownerships.